Land a federal job faster with a resume ranked "Best Qualified” and referred to a hiring authority by featuring the required Specialized Experience and Knowledge, Skills, and Abilities (KSAs) from your job announcement. I’ll develop a USAJobs-formatted or state/local government resume with first draft delivery in five business days and an Extended Priority Revision Period of 10 business days. Includes a 60-minute Phone Consultation. Why does pricing depend on the GS pay grade? Why are public sector or federal resumes so different than corporate resumes? Private sector employers collect resumes and narrow down candidates using Applicant Tracking software. A corporate resume must be optimized with keywords from the job posting to make sure you are ranked as a top candidate by this software. Only the top candidates' resumes will likely be seen by a decision maker scheduling interviews. Federal agencies hire a bit differently. While your federal resume is submitted online, it won't be seen by Applicant Tracking software. It will be read by the agency's HR Specialist who must determine if you are qualified based on very strict requirements. He or she will determine if you are referred to a hiring authority. To prove you are qualified, your federal resume must describe your work history and qualifications (known as Knowledge, Skills, and Abilities or KSAs) in detail. The most effective format to achieve this is to alternate between paragraph descriptions that align with each specific KSA and bullet lists that showcase your related achievements. Each achievement should also include context, actions, and results. No wonder federal resumes are 5+ pages long! You are unlikely to be ranked as "Best Qualified" and be referred to a hiring authority without a highly targeted federal resume that adequately showcases your KSAs and understanding of the agency's mission. This is my first federal job search. What information will I need to provide that is typically not included on a corporate resume? First, you must make sure you are eligible and qualified for the job before you apply. Some jobs are only available to current or previous federal employees; and if you do not have the required experience and/or education, you will not move forward in the application process. Read the This job is open to and How You Will Be Evaluated sections of the job announcement carefully. You will also need to provide specific, detailed examples that prove you can perform the tasks at the level required for the job. You must address every required qualification. You should also include volunteer work and other unpaid work to demonstrate your Knowledge, Skills, and Abilities. Do I need a federal resume if I'm applying on USAJobs? USAJobs let's you upload or build up to five resumes. 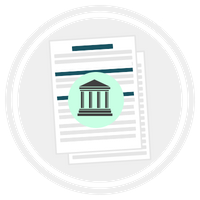 If you're creating a federal resume for the first time, using the USAJobs Resume Builder will help you include and organize all of the details needed for a federal resume correctly. However, HR Specialists claim that they prefer uploaded federal resumes to the Resume Builder resumes. Remember, HR Specialists will be reading your resume directly. 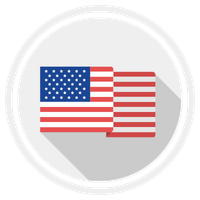 A USAJobs-formatted resume should be a strong marketing document. Having a federal resume designed by a Certified Professional Resume Writer and written for your specific job announcement can also save you a lot of time. While your federal resume's being written, you can focus on the other elements needed for your application package. How does the SES Application Package work? Like all new federal resume orders, we will start with a 60-minute Phone Consultation to discuss your Specialized Experience and KSAs in more detail. At the end of the consultation, I'll collect full payment for the SES Application Package. The first drafts of your executive federal resume and cover letter will be ready for review in five business days (two business days with an additional $99 rush fee). Any revisions you request by phone or email within the next ten business days will be completed and returned for review within 48 hours (This is the Extended Priority Revision Period). While you're reviewing your resume for revisions, we will schedule another 60-minute Phone Consultation to discuss the accomplishments we will showcase in your Technical Qualification (TQ) and Executive Core Qualifications (ECQ) statements. The first drafts of your ECQs and TQs will be ready for review in five business days. A rush service is not available for ECQs and TQs at this time. These statements are also eligible for an Extended Priority Revision Period. You will receive your final federal application documents at the end of the Priority Revision Period or upon your request. What does GS stand for, and why does it affect the price of my resume? The Federal Government categorizes jobs by series (groupings of similar occupations) and by grade which refers to the pay level of that job. The General Schedule (GS) pay scale is the most common pay schedule. The GS pay grade listed on your job announcement directly relates to the education level and experience required to qualify for that job. Since my pricing is based on your background and career goals, the GS pay grade determines the price of your resume. Example: If you have a high school diploma or as little as three months of general work experience, you likely only qualify for jobs at the GS-2 level. For college graduates with no specialized experience in any career field, you will likely qualify for GS-5 jobs. To qualify for GS-9 jobs, you will need a Master's degree or several years of Specialized Experience with the federal government. What if I can't find the GS pay grade on my job announcement? Most federal agencies will use USAJobs to post their job announcements which will lists the GS Pay Grade near the top of the announement. If your job announcement is from another website and you can't find a GS Pay Grade, the agency may not use the General Schedule Pay Grade. The chart below will indicate which alternative pay grades are equivalent to the General Schedule Pay Grade. If no pay grade is listed at all, then the minimum requirements listed in the job announcement will be used for GS Pay Grade equivalency. What is equivalent to GS...?